The Ohio First District Appellate Court last week upheld a more than $100,000 ruling against an Ohio shop which evidence showed failed to follow OEM repair procedures and performed “all around sloppy work” on a Nissan sedan, according to the original judgment. The original Hamilton County Court of Common Pleas verdict and judgment should demonstrate Ohio collision repairers the value of following OEM instructions and state consumer law. Lange Technical Services’ Larry Montanez, who appeared as an expert witness in Jeremy Williams v. Sharron Woods Collision Center, called the work on the car in question “a very crappy repair” in an interview Monday. He also stressed the insurer covering the repair “had nothing to do” with the repair issues found. Williams v. Sharon Woods Collision involved a 2010 Nissan Maxima that plaintiff Williams brought to Sharon Woods Collision for a repair in 2012. The shop is no longer under the same ownership. “We don’t have anything to do with it (the case),” a representative of what is now Sora’s Sharon Woods Collision Center & Service said Monday. All references to “Sharon Woods Collision,” “SWCC” etc. throughout this story and the litigation refer to the facility under prior owner Bernie Burckard, not today’s Sora’s Sharon Woods, which is owned by the Sora family. Messages for Sharon Woods Collision’s counsel mid-Monday afternoon had not yet been returned. Williams sued in 2014, and the verdict and court judgment came in 2016. The shop sought a new trial, failed to achieve it in 2016 and 2017 (the 2016 denial by a prior judge hadn’t been served) and appealed in 2017. The jury awarded damages of $8,079.78, but Hamilton County Court of Common Pleas Judge Mark Schweikert then agreed to Williams’ motion for treble damages, attorneys fees and costs — which added nearly $100,000 more to the shop’s tab. Williams had sued Sharon Woods Collision alleging “unfair, deceptive and unconscionable acts in connection with a consumer transaction,” fraud and a violation of the “Motor Vehicle Repair Rule,” according to Mock. However, the jury did not find Sharon Woods Collision to have committed fraud. 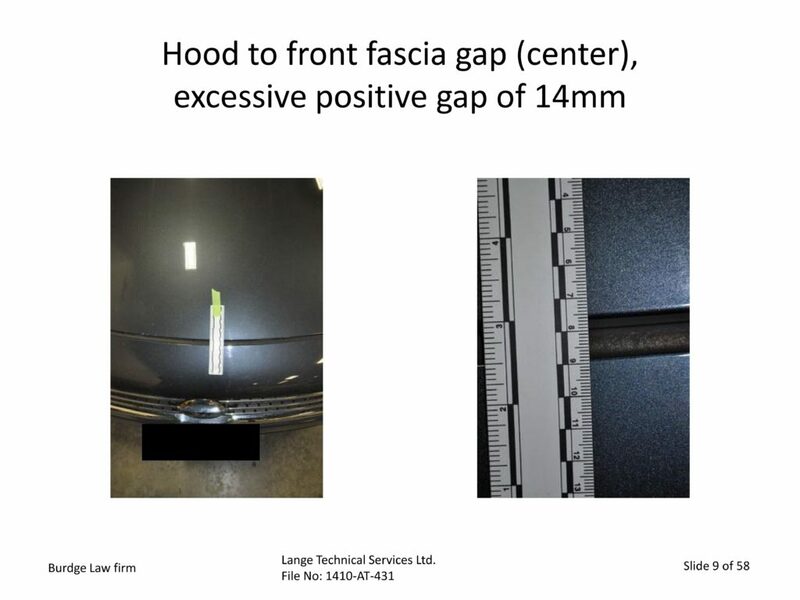 The shop incorrectly used structural adhesive to glue panels to the Maxima, “a method which was not approved by the manufacturer or appropriate under I-CAR guidelines,” according to Mock. “Williams presented the testimony of three experts (Montanez, Mike Anderson and David Williams), who all testified that the car was not repaired in accordance with Nissan’s specifications or I-CAR guidelines, that some repairs in the estimate were not completed, and that the some of the repairs had been done in an unworkmanlike and sloppy manner,” Mock wrote. “SWCC presented testimony from Bernie Burckard, President and sole shareholder of SWCC and experts, David Damon and Geoffrey Overley, who inspected the vehicle and testified the vehicle was repaired in a workmanlike manner and the utilization of an adhesive bond, although, not specified by Nissan, was not specifically prohibited and that adhesives were used in the industry for corrosion protection, in addition to their adhesive quality and had no effect upon the integrity of the repair,” the shop wrote to the appellate court in January. 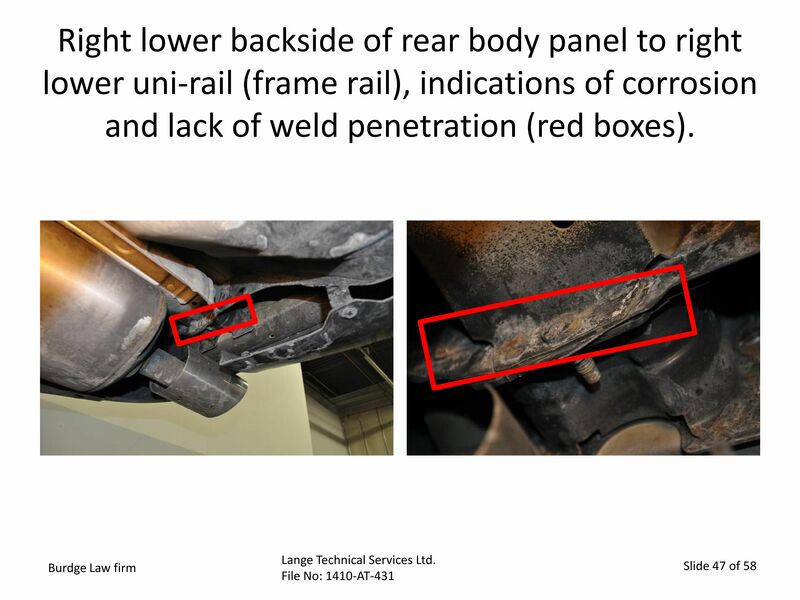 • The evidence showed that repairs to the rear body panel were not performed in a workmanlike manner because: (1) they were not performed according to the manufacturer’s specifications because structural bonding adhesive was used where not approved by the manufacturer, Nissan, (2) the welds were extremely poor, not in locations prescribed by Nissan, and the wrong types of welds, and (3) improper corrosion protection was applied. workmanlike manner because: (1) sprayable seam sealer was used instead of brushable, pumpable seam sealer, and (3) the seam sealer was not refinished. • The evidence showed that the repairs were all around sloppy work. 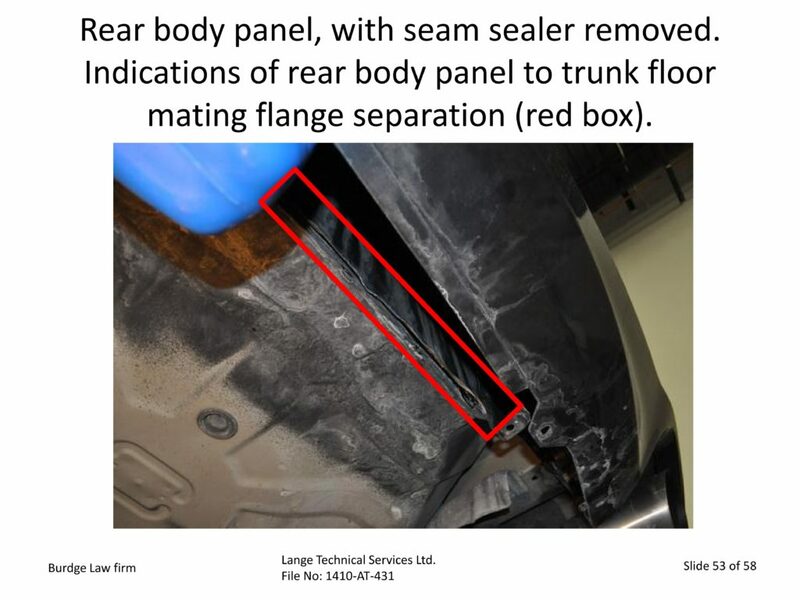 “In this case expert evidence showed the improper installation and repairs to the rear body panel rendered the vehicle unsafe to drive when it was returned to the Plaintiff,” Schweikert wrote. Montanez said he was able to pull the rear body panel off by hand with a tiny ballpeen hammer and a gasket scraper. He was able to make a gap wide enough that an antifreeze bottle could fit between the floor pan and rear body panel, he said. He recalled the adhesive was still sticky and wet, similar to butyl tape. “It just literally came apart,” he said. While the exact reason for the adhesive failure was unclear, Montanez speculated Monday it might have expired or been applied with the incorrect tip. Some tips are microscopically engineered to mix the adhesive and activator hundreds of thousands of times, he said. “They just glued it on the wrong way,” he said. 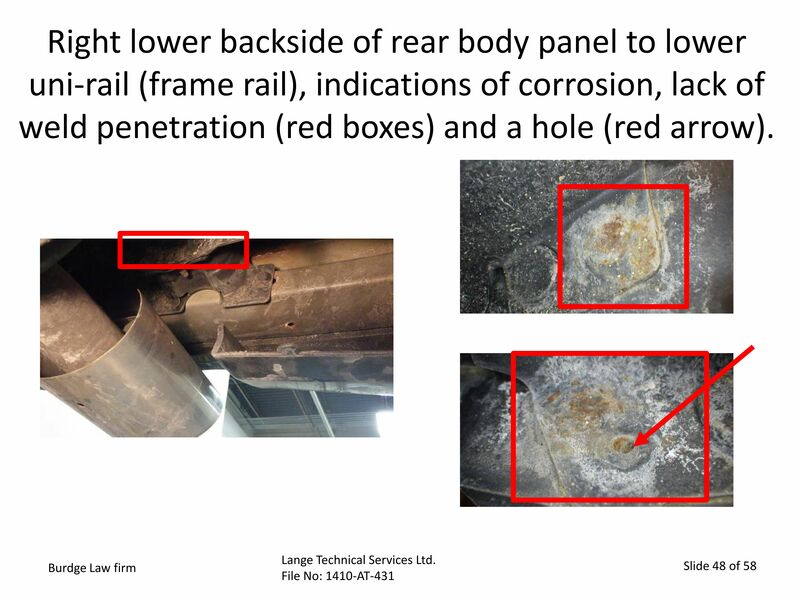 A 2014 report to Williams’ attorney Beth Wells (Brudge Law Office) by Montanez and Lange Technical Services President Jeffrey Lange and related annotated images show the adhesive failure as well as insufficient weld quality. Lange and Montanez also reported a series of other issues. Some gaps were out of tolerance, notably hood to bumper fascia gaps of “11mm on the left side, 14mm in the middle and 7mm on the right side,” according to the report. The trunk area and rear body panel also had the wrong seam sealer, they wrote. 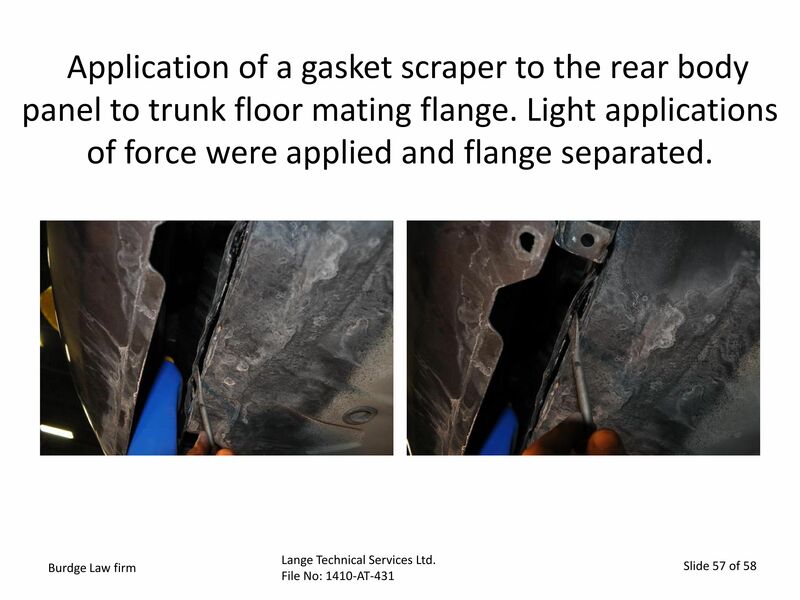 “Multiple indications of a sprayable type seam sealer application to the spare tire well and to the rear body panel to trunk floor panel mating flange were observed, the report states. 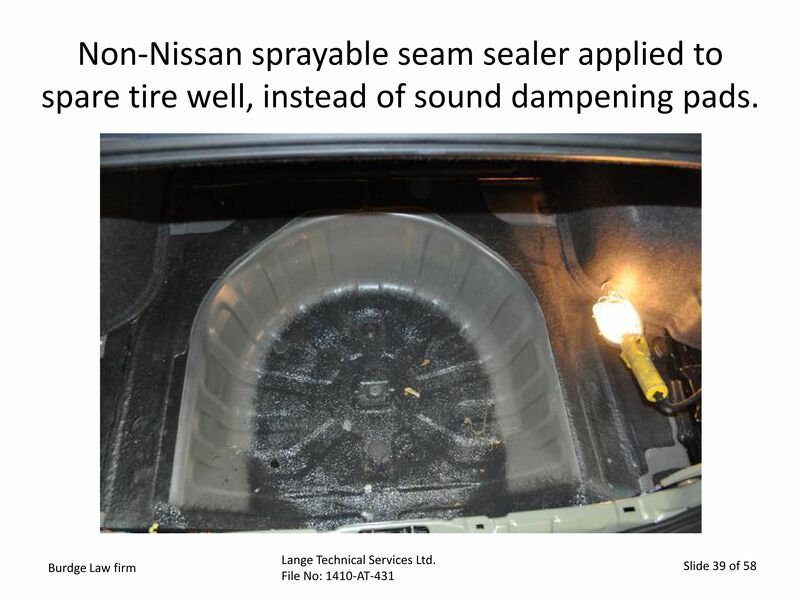 “According to Nissan, repair information the spare tire well should have sound dampening pads installed. Sprayable seam sealer is utilized for underbody/undercarriage repairs. The seam between the rear body panel and truck floor panel should have pumpable/brushable seam sealer applied and not sprayable material. 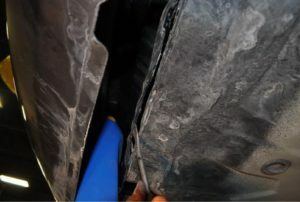 Other issues included a missing air conditioning line mounting bolt, a color mismatch and fractures and missing pieces on a trunk trim panel upper mounting clip, according to the report. The shop also didn’t seem to have performed some of the operations it had itemized in the estimate, according to the report. Montanez also recalled Monday that a 3-hour line item to repair adjacent panels also lacked some of the possible indications that work had occurred. The issue here wasn’t the use of an estimated time, Montanez explained. It’s that the shop didn’t appear to have performed work listed on its bill.